“After reviewing his writings, opinions, and testimony, I have concluded that Judge Kavanaugh will create a new Supreme Court majority that will threaten women’s reproductive rights, roll back essential environmental regulations, and favor large corporations over workers. 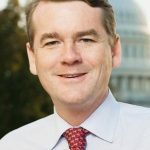 In addition, his view that sitting presidents may be immune from criminal investigations and subpoenas is particularly troublesome at this moment,” Bennet wrote. 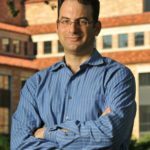 Last week, as chaotic Senate confirmation hearings kicked off in Washington, RealVail.com ran a July interview with former dean of the University of Colorado Law School Phil Weiser, a Democrat who is running for the office of Colorado attorney general in the Nov. 6 election. 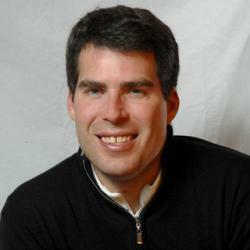 For more on Weiser’s views, go to RealVail.com. 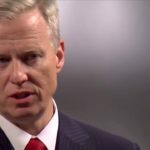 Republican Colorado attorney general candidate George Brauchler, who serves as the state’s 18th Judicial District Attorney, sat down with RockyMountainPost.com on Sept. 7 to discuss Kavanaugh’s nomination. At a debate with Weiser in Grand Junction on Sept. 8, Brauchler received some boos for his answers on the state AG’s role should a Supreme Court with Kavanaugh rule to overturn the landmark Roe vs. Wade abortion decision. “I think circus is the right word [for the confirmation hearings], and I think what we have seen is the next step in the deterioration of good government and representatives who are supposed to go there to fulfill a specific function and it’s playing out in this senate judiciary committee confirmation process,” Brauchler said. “It’s all because a certain group of folks feel like Judge Kavanaugh is too conservative. At no time in our history up until probably Judge Bork [a nominee of President Ronald Reagan in the 1980s] was there a focus on something other than is this person imminently qualified to serve on the supreme court, independent of their personal views about X, Y and Z or some other things. “And then all of a sudden it shifted about 31 years ago with Judge Bork, and it has gotten progressively more partisan and more combative, and yet having said that, here’s what’s crazy, Justice Scalia was confirmed 98 to 0. Justice Ruth Bader Ginsburg was confirmed I think 96 to 3. 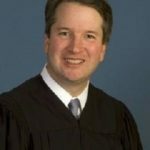 “Now Judge Kavanaugh is not more conservative than Ruth Bader Ginsburg is liberal, and yet just a few years ago – 20 years ago – she was able to be confirmed with overwhelming support from the Senate. That is an indication of how hyper-partisan things have become and how dysfunctional that entire legislative body has become. We need to move away from that. “If the next president – whoever it is, let’s say it’s not Donald Trump, let’s say it’s someone else – puts up someone – other than right before an election – like a Merrick Garland or a Ruth Bader Ginsburg, you’re still going to hear this guy [Brauchler] say, if they’re qualified to do it, if that’s the determination, that they’re qualified and they commit themselves to following the law and the constitution, they should be confirmed, independent of whether I think they’re a liberal or a conservative. “I’ll have my concerns, I’ll express my concerns, but that is not how this process is supposed to work is to try to figure out how to delay confirmation until we can change the body to try to put in a different … that’s not what confirming is. That’s not what advise and consent is. “But for the change from either the Joe Biden rule or what took place afterwards, the idea that we were months or a year before an entire change in presidency, mandated, like we knew it. It wasn’t like [President Barack Obama] was up for reelection. That would have been different to me. “It was that there was going to be a change. This guy’s pick [Garland] is tied to [Obama] and this guy isn’t going to be around. I think the process was the right one because I think that the people should have the opportunity to weigh in on that. “But this isn’t the same. This is a midterm. There is not a single thing that can happen in November that will change the president of the United States. Now what could happen in November might lead to people who might want to change the president of the United States, but this isn’t an election on the president. We just had that less than two years ago. “I think Merrick Garland was a victim of timing too. Had he been nominated and the opening had been a year before, I would have said absolutely and I think the Republicans would have said, ‘Yep, we’ve got to do this. We’ve got to go through this process,’ and I think he would have been confirmed. “If there’s another opening in the last year of President Trump’s administration, I would say the same thing. Let’s wait. “This is a guy [Kavanaugh] who worked on the staff that investigated President Clinton, so if he’s got some sort of intellectual compunction to not do that, he’s got a weird way of showing it in his career. “When did we get to the point that simply having an opinion on a law expressed at a different time, 20 years ago, 15, 10 years ago that that means you have to exclude yourself from consideration? 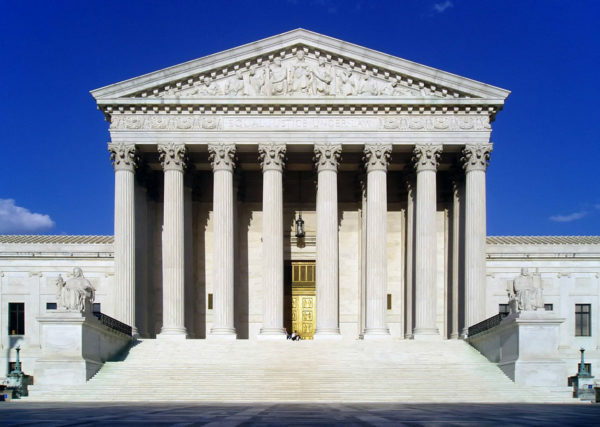 “[Justice Elena] Kagan was part of the White House during the time that they formulated the strategy for Obamacare. She didn’t have to excuse herself from Obamacare. No one ever asked her that during the confirmation process. “We’d have all said, ‘That’s crazy. That doesn’t make any sense.’ This is really no different than that. This isn’t a guy [Kavanaugh] who sat there and told this committee, ‘I am wedded to the idea that the president is immune from anything every time.’ I just haven’t heard that. “Is that the new standard? Every shred of paper ever from anybody who’s ever been nominated for the supreme court has to be revealed? That standard has never been applied to any other prior nominees that I’m aware of.